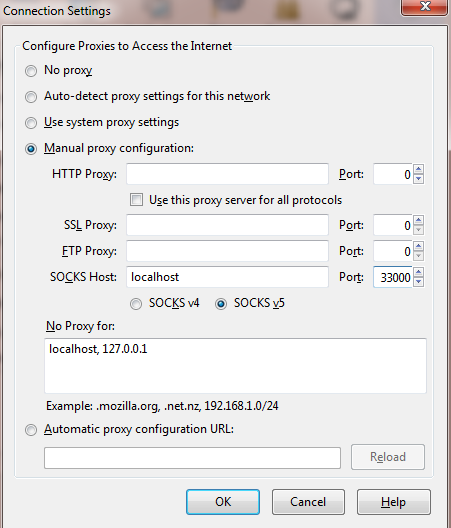 So you want to hide your IP Address without using a VPN or turning your server to a proxy? This tutorial will show you how to tunnel your internet traffic from your browser to your server. Your own server with SSH access. Click "Open" in PuTTy, and go to your browser (I'll use Firefox), go to "Tools" => "Options" => "Advanced" => "Network" => "Settings". Click OK, and go to whatismyipaddress.com and you should see your server's IP Address instead of your network's IP.